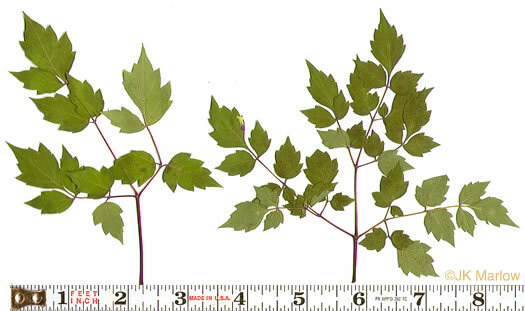 Your search found 1 image(s) of bipinnately or tripinnately compound leaves of vines. Leaves bipinnately or tripinnately compound. Leaflets coarsely serrate, per Vascular Flora of the Carolinas.